The 184MW Gunfleet Sands wind farm was built in two phases. Image courtesy of Dong Energy. The Gunfleet Sands wind farm serves more than 125,000 European homes. Image courtesy of Dong Energy. An offshore substation installed on the site collects all the power generated by the wind turbines. Image courtesy of Dong Energy. 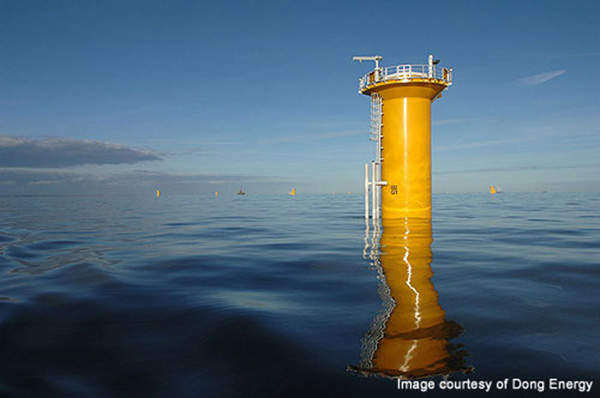 The turbines of Gunfleet Sands wind farm were mounted on monopile foundations. Image courtesy of Dong Energy. A2SEA’s offshore vessel Sea Installer was used for the installation of turbines of the Gunfleet Sands 3 demonstration project. The phase 3 demonstration project is installed with two 6MW turbines supplied by Siemens. The 172MW Gunfleet Sands offshore wind farm, located around 7km south-east of Clacton-on-Sea in Essex, UK, was inaugurated in June 2010. It is owned by DONG Energy (50.1%) and Marubeni Corporation (49.9%). The windpower project was commissioned in two phases. In addition, a 12MW phase 3 demonstration project with two 6MW wind turbines were implemented at the site in January 2013. The wind farm generates electricity for around 125,000 homes in the Tendring and Colchester areas. 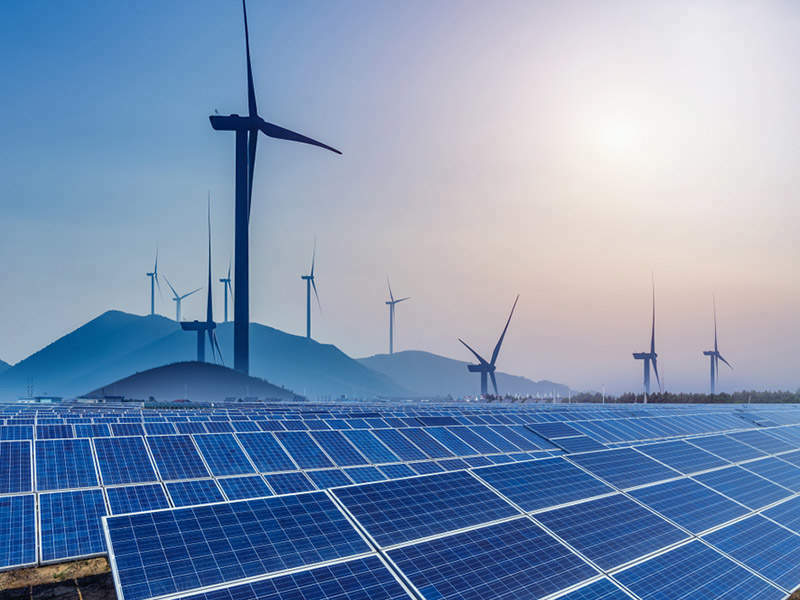 "The wind farm is expected to offset emissions of approximately 480,000t of CO2." Gunfleet Sands 1 and 2 are installed with 30 and 18 turbines respectively. The wind farm generated its first power in August 2009 and reached full production in early-2010. The power project was developed as part of the Crown Estate’s initiative to increase wind energy production in UK. The wind farm contributed to the domestic UK target of decreasing CO2 emissions by 20% by 2010. It is expected to offset emissions of approximately 480,000t of CO2. 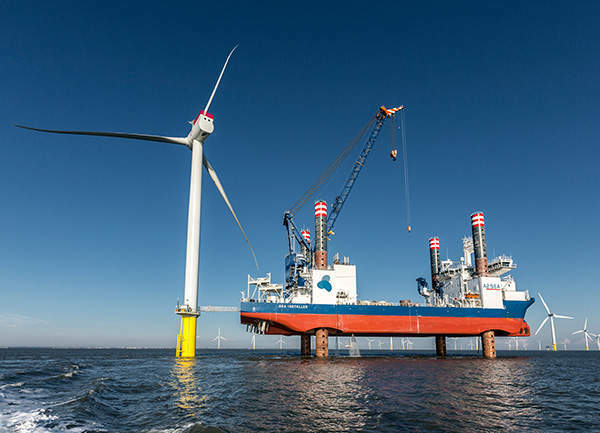 Proposals for constructing the Gunfleet Sands wind farm, along with offshore substation, array cabling and export cable were made after confirming the availability of good wind resources at the site. The proposal was approved during 2003-2004. Permission from the Crown Estate for constructing the wind farm was received in December 2003. The environmental assessment statement was submitted to the Department of Trade and Industry (DTI) and the Marine and Fisheries Agency in June 2007. Phases 1 and 2 of the wind power project were implemented as part of Round 1 and Round 2 development of wind energy in the British coast. Phase one of the wind farm consisted of a lease area of 10km² and the phase two, 7.5km². The lease for Gunfleet Sands 3 demonstration project was awarded in August 2010. Authorisation to begin construction of the project was received in April 2012. The demonstration project was developed as part of Round 3 wind energy development in the UK. It is located 8.5km south-east of Clacton-on-Sea. Construction of the wind farm started in spring 2008, with installation of the wind turbines starting in April 2009. London Array offshore wind farm was conceived to be the world’s largest wind farm when its construction was undertaken in 2009. Different tugs, barges and fast powerboats were used for the transportation of construction materials and staff. Gravel and rocks were used for scour protection. Directional drilling was carried out for the installation of onshore cables. A combination of open trenching and duct installation was used for laying dedicated power cables and a small communications cable in a trefoil arrangement. The turbine towers were mounted on monopile foundations of 5m in diameter. The total length of the foundation is 75m with seabed penetration of 50m. Excalibur, an offshore vessel owned by Fugro Seacore, was used to lay the monopile foundations. Sea Worker, an offshore vessel owned by A2SEA, was used to erect the turbines. 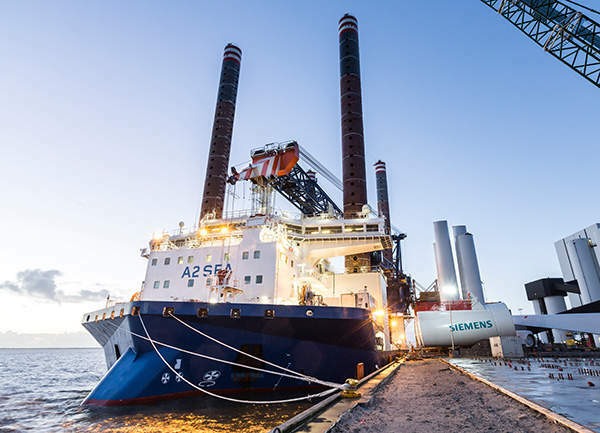 A2SEA’s latest offshore vessel Sea Installer was used for the first time to install two 6MW turbines in the Gunfleet Sands 3 demonstration project. Sea Installer is a specially designed vessel to carry and install large wind turbines. The maximum height of turbines above mean high water springs (MHWS) is 129m from tip to sea level. The installation of turbines was carried out in accordance with the Royal Yachting Association’s guidelines. A minimum distance of 22m has been maintained from the lowest blade tip to sea level at MHWS. The turbines are positioned with a spacing of 435m×890m. "The installation of turbines was carried out in accordance with the Royal Yachting Association’s guidelines." All 48 turbines of the Gunfleet Sands 1 & 2 are rated at 3.6MW each and generate electricity at a voltage of 33kV. 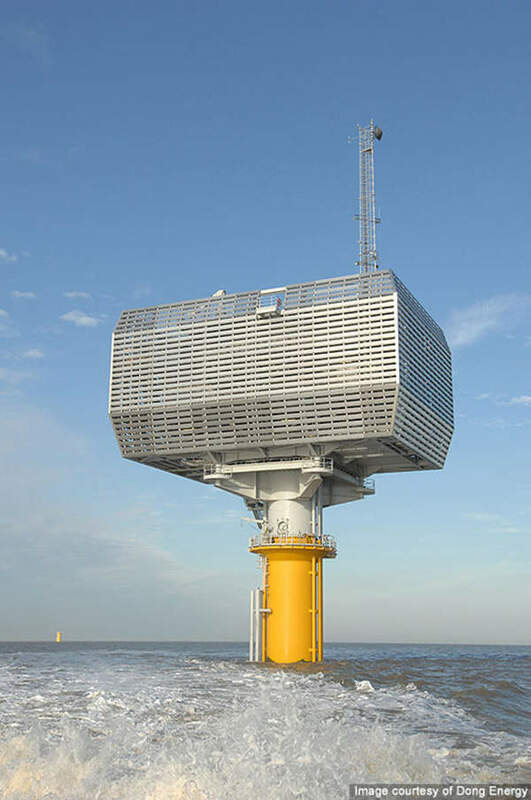 Siemens supplied the wind turbines, and electricity generated by them is collected at the offshore substation where the voltage is stepped up to 132kV for feeding to the local grid. The power output is transmitted to the shore at Holland through underwater power cables. The operation base for the wind farm is located at the Brightlingsea town from where it is operated and maintained by Dong Energy in co-operation with Siemens. Turbines for the Gunfleet Sands 3 demonstration project were also supplied by Siemens. Two new generation 6MW wind turbines with rotor diameter of 120m have been installed at a water depth of 13m. Each turbine can generate power to serve up to 6,000 European homes. Dong Energy is considering a dedicated export cable for transmitting the power output of the demonstration project. 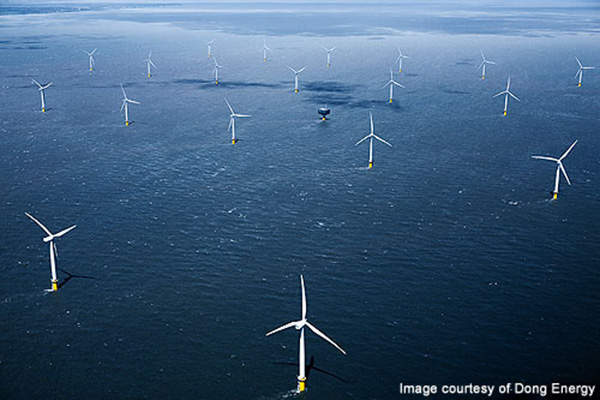 The UK surpassed Denmark in 2008 to become the world leader in offshore wind energy generation. The offshore wind energy generation of the UK reached 1GW mark by April 2010. 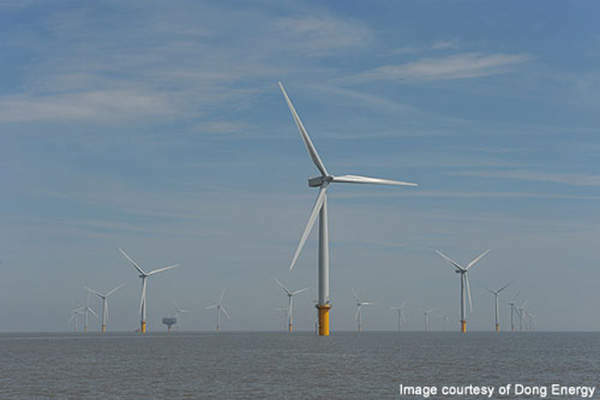 The achievable target for UK’s offshore wind energy by 2020 is projected to be 25GW. Seabed Scour Control Systems (SSCS) manufactures environmentally approved frond scour protection systems.